For the daily supply of invertebrates . It stimulates the development and coloring of corals . With traces of manganese. For 50,000 l.
The seawater aquarium can be subjected to variations much more important than is the case for the one present in nature . Corals , in particular, do not tolerate these variations , requiring instead of water parameters stable. With the brand DuplaMarin Meerwasseraquaristik offer for this purpose the main elements calcium, magnesium and hydrogen carbonate , which exert a significant influence on the chemical and biological processes of the sensible system of the reef. The trace element iron is found in natural sea water at a concentration of 0.01 mg . It must be continually added to the aquarium. The iron forms an essential component of the protein ferredoxin and is therefore essential for photosynthesis of algae and symbiotic algae ( zooxanthellae ) . The administration of DuplaMarin Eisen 24 promotes the growth of important symbiotic algae and intensifies coloration of corals. The clams are color-enhancing Actinodiscus in the tissue swells considerably , the briareum show polyps markedly more open. 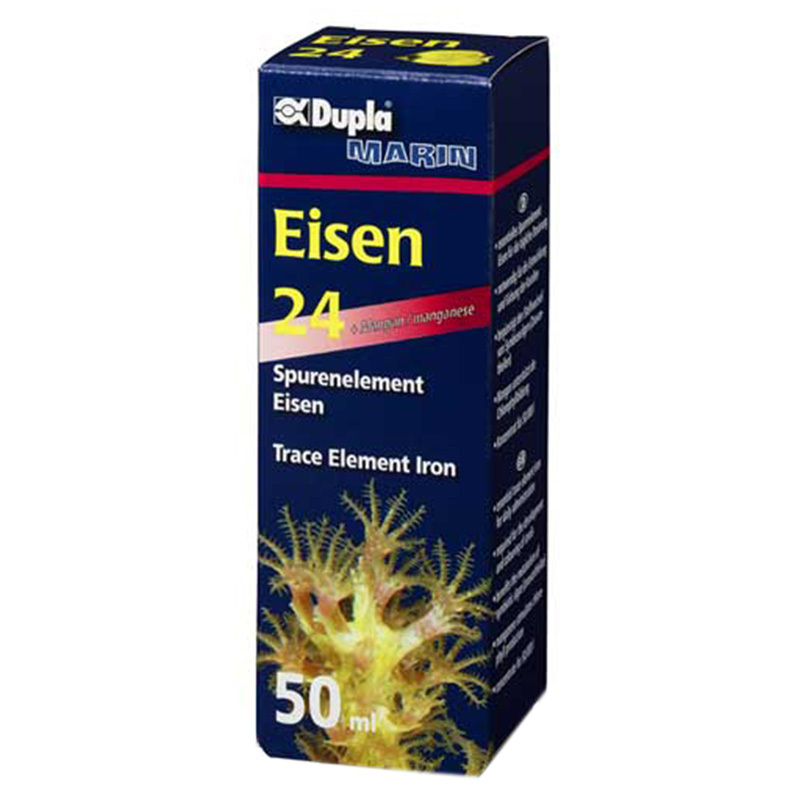 A metered dose of iron promotes the growth of algae and higher popular calcareous red algae . The manganese also promotes the formation of chlorophyll . The trace element iron is both an important catalyst in the process of biodegradation within the aquarium with sea water. 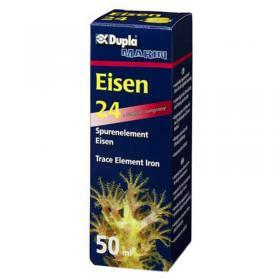 Since bacteria require iron in large amounts in the process of biodegradation , a regular administration of DuplaMarin Eisen 24 favors the biological processes global aquarium. 1 drop per 50 liters of aquarium water per day . The processes strongly oxidizing (eg . Adding ozone or the use of a trickling filter ) in the aquarium make it necessary , in certain circumstances , the cautious increase in dosage. If you find a brown coloration of corals very clear or yellow polyps small , this indicates an overdose. The dosage in these cases should be discontinued or significantly reduced.